Hey all ya’ll, it’s Team #3 here on Kilimanjaro, 23rd of July; we’re at Shira Camp (12,500 feet above sea level). We’re here at the dinner table, having had some great food and full bellies, getting ready to go to bed. We had great weather, good conditions, happy times today. Notable events: John Hayman lost his bar of soap to one of the white-necked ravens, so hence we are going to become “The Soap Ravens”. That’s right folks; our new team name is “The Soap Ravens”. Nothing like a little drama here on Kilimanjaro. We’re going to get a phat night’s sleep. 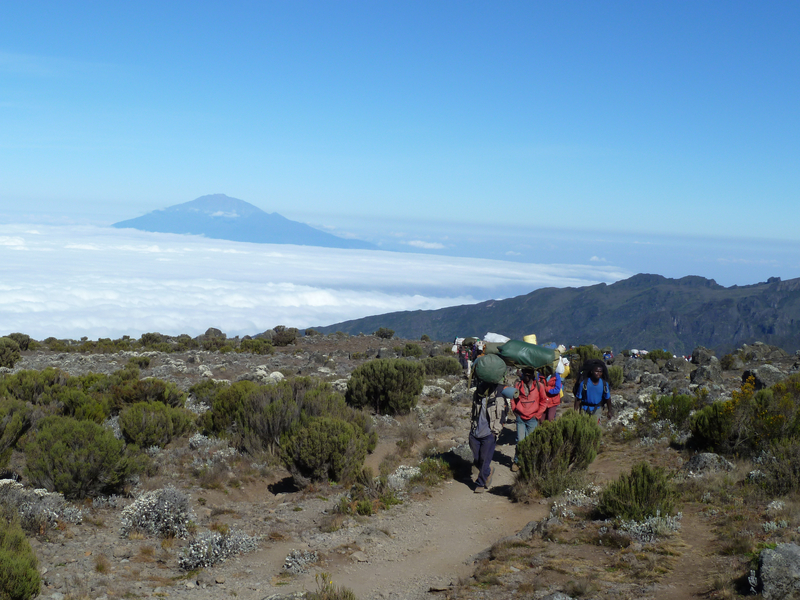 Tomorrow’s a long day for us but a beautiful day, up to 15,000 feet at Lava Tower and down to the beautiful Barranco Camp. We’ll give you guys a shout tomorrow, that’s all for now. July 21-23 Rainier climb summits!